Time to be honest. We deal with a lot of paperwork. Yep, I said it. I let our secret out. IEPs, FIEs, BIPs, progress monitoring, data collection on IEP goals and objectives… it all requires paperwork, and that’s just on a slow day. Let’s be honest again. Our job can be difficult some days. Take out creating and differentiating the curriculum for our students. Take out the all of the meetings we attend. Take out the daily responsibilities that include duties and contracted teacher hours (we don’t really know what those are anyway… it’s more of a guideline). Take out actually teaching too. Now we can really talk. 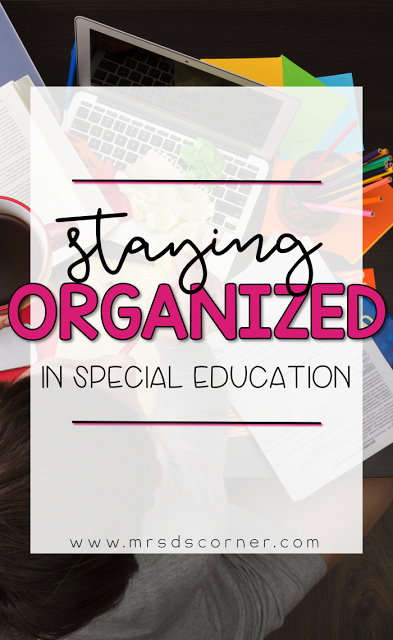 Behind our lesson plans, a loaded classroom library, and 5 minute lunch breaks, we spend hours upon hours organizing our classrooms. We do this, not only for ourselves, but for our students. They need the organization just as much as we do, especially when the day begins spiraling out of control at 8AM after the morning announcements. Insert your new best friend: a color coded classroom. 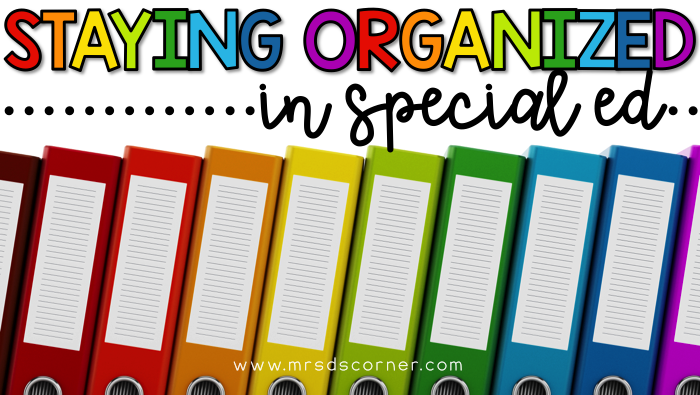 So now that I have shared with you my favorite classroom supplies for color-coding my classroom (which is a great beginner list and where I started), I want to take you inside of my classroom to show you how I organize things. Okay, now that you’ve watched the video, let me explain myself and where it all started. 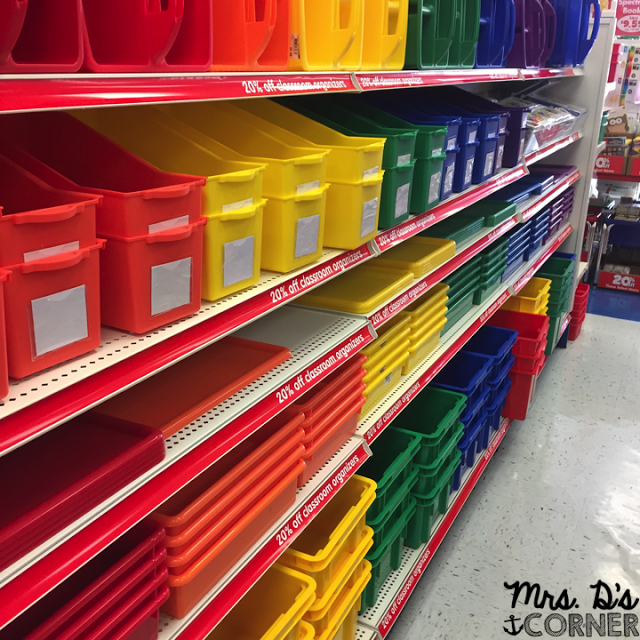 It all started over summer when I found a teacher’s Heaven… really… in the form of organized, color coded Heaven. In the middle of my first school year teaching self-contained, I decided to color code my classroom. Better late than never. But boy oh boy, did Lakeshore Learning ever turn into a classroom game changer for me. And then a year or so later, I amped up my color coding with bins from Really Good Stuff. I’m not sure what made it *click* in my mind, but once I went color-coded… well I have yet to go back actually. It was one of the biggest game changers in my classroom over the last year… if not the absolute biggest, most positive game changer. 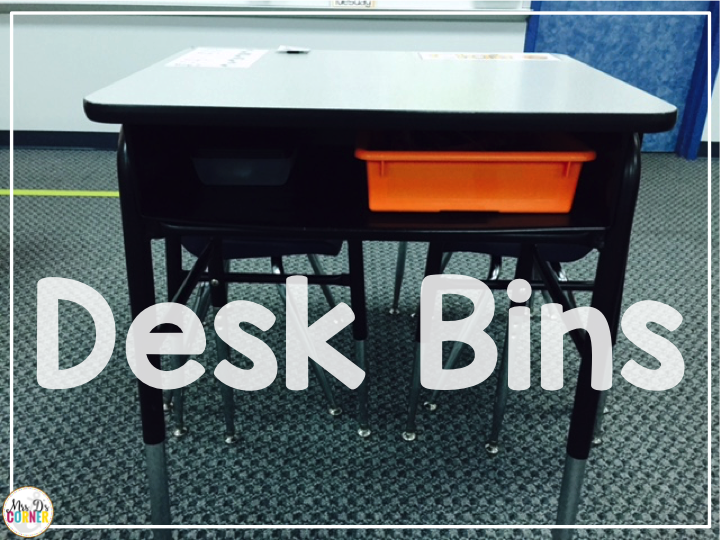 Each of my students has a colored bin inside of their desk. It helps keep the insides of student desks organized. We use our desks in the morning for calendar and for iPad time. Inside of this bin, students house their headphones, iPad tray, and possibly a chewy. Inside of their desk, each student also has a pencil box of icons for their specials schedule. On top of their desk is the schedule and on the front board we flip a chart that tells the student what day it is. Every morning, students change out their special and tell us where they are going. Not only does it help students take control of their learning, but it helps us (teachers and paras) remember who goes where on what day and when. 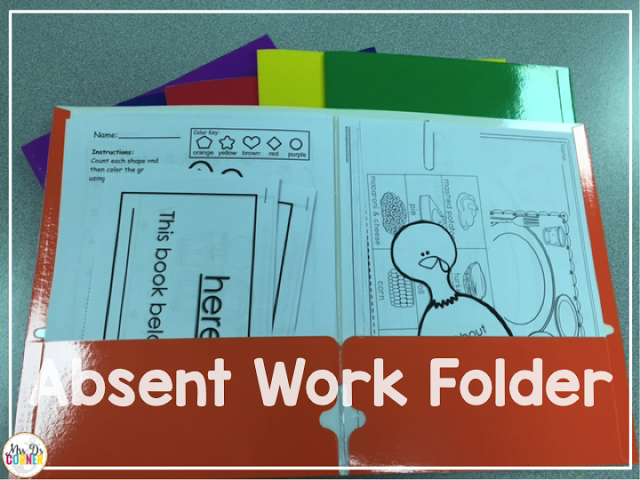 While I do not use these often, each of my students has their own absent work folder. If a student is absent for more than one day, I will put important skill work they are missing inside of this folder for us to complete together when they come back. Each of my students also has a shelf bin. Inside of this are their IEP Progress Monitoring Rings, a First Then board, sight word pockets, and other random supplies. You can find the “Monday” sequence spelling (Days of the Week) activity in the Resource Library. There is also one for months of the year too. Not only do my students have their own color-coded desk boxes, shelf bins, work spaces, IEP goal boxes, and iPad backgrounds… I keep each student’s progress data and information in a color-coded binder by my desk. 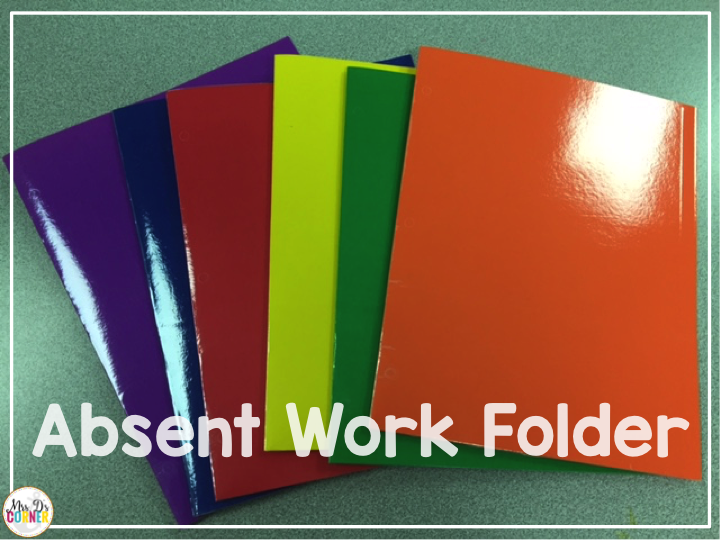 Not only does it help me visually (I mean, I can just grab a color and know it’s the correct student), but having these binders readily available helps me with impromptu, and even scheduled, meetings with parents or admin. 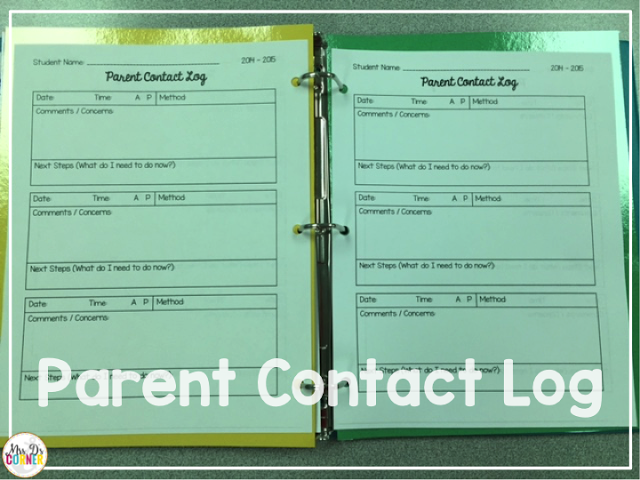 I wanted to show you a sneak peak inside of my [FREE] Parent Contact Binder too. To create color-coded sections inside of my PCL, I simply laminated pieces of cardstock… which you can laminate construction paper or Astrobrights paper too. 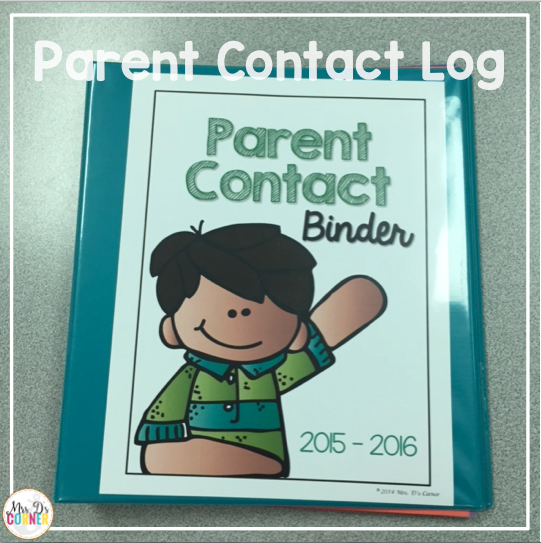 Every time I talk to a parent, I log the information inside of this binder – or at least I try to remember to. Mostly for parent phone calls and parent meetings (since there is a record of email and ARD meetings). 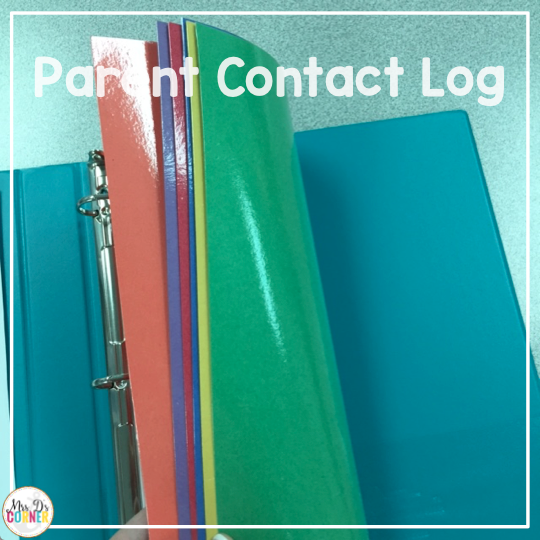 This video shares a deeper look inside the Parent Contact Log and how I use it. I know it seems super easy and like all you need to do is go buy colored bins… which is half the battle. On the other hand, you have to implement the use of them in your classroom and teach your students their color. I also have a specific name for each “bin,” which students need to learn for following directions (i.e., “go put that in your bin” versus “go put that in your box”). 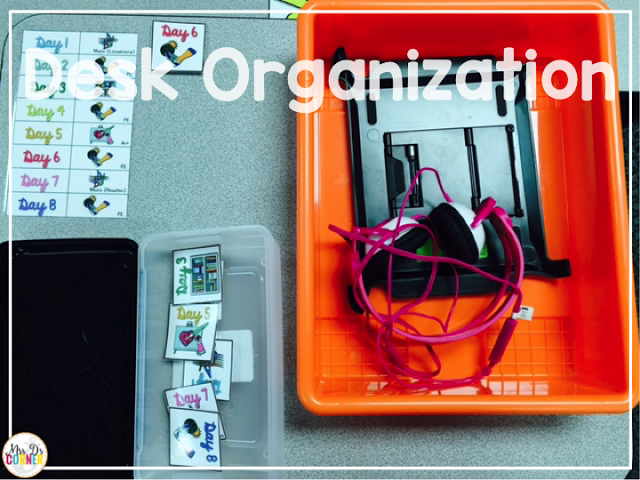 How do organize “the mess” in your classroom? Love this! 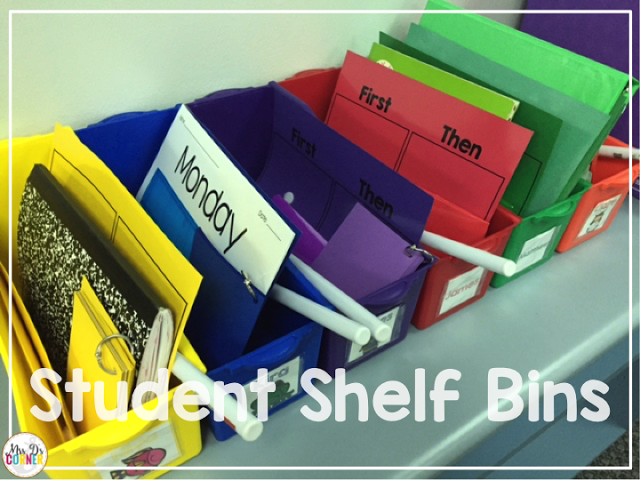 What are those white sticks in the student shelf bins? They are pointers from the Target Dollar Spot. Great info for me es first year teacher. I would love to hear about your progress monitoring rings as well. I teach middle school life skills..and also like to be crazy organized with colors. I don't have the space currently to be so organized but hopefully in years to come I will have more space. I would love to try out your parent log but the link doesn't seem to work. Is there somewhere else I can download that? Where did you get the different colored binders? I bought a few at random places (like Target, WalMart, and office supply stores), and then finished my set off using Amazon. It took me forever to find the orange one! I LOVE this idea..however I have 10-13 kids regularly so I think finding colors for each kid would be hard. Any suggestions? You are a genius!! I love your ideas. I’m going to use your progress monitoring rings. I’m so glad teachers like you take the time to make these blogs haha Is there a certain way you organize student work for the week? 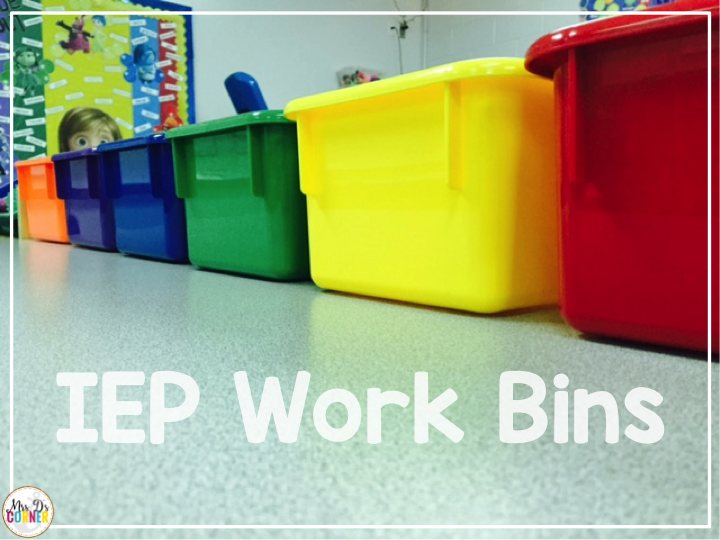 What are the specific name you use for the bins ? 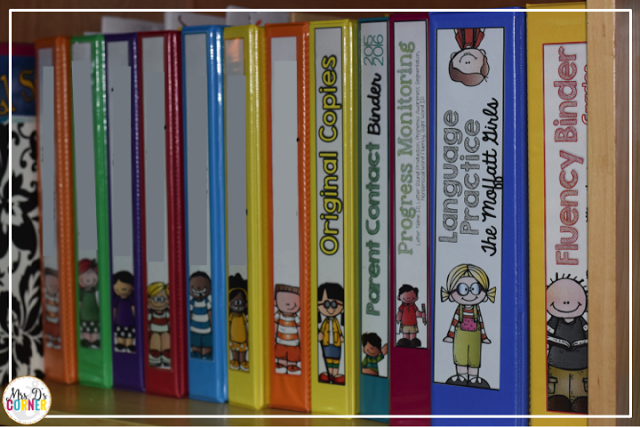 Where can I find the IEP binder? Thank you so much for this! I really appreciated your examples. I am trying to be more organized this year (and yes my desk is a total disaster too!) and color coding is the route I am trying. The video and explanations are really helpful! Thanks so much for sharing your God-given gifts. I made my first purchase today. I’m sure it won’t be the last lol. So I’m wondering if each student has everything in the same color (ex. orange binder, folders, notebooks etc.?). Please advise. Thanks. Yes, they all have the same items.